Browse Screen’s training features on visual effects, e-learning, EMBAs, diversity and the London Film School. Training the next generation of film talent, from the creative side to the business people, is of vital interest to everyone in the industry. 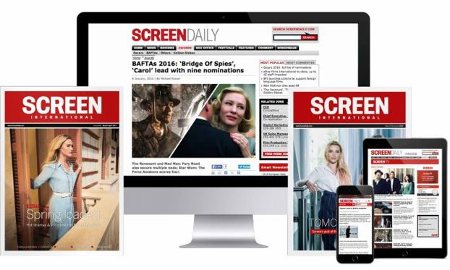 Screen International’s annual training guide explores several intriguing topics, from how the burgeoning VFX sector is training up its new recruits to how film schools are addressing the diversity question to why David Puttnam decided to launch an online EMBA for industry professionals. As the industry evolves in the digital age, how the future workforce is trained to cope with these challenges is of utmost importance. A more diverse workforce which better understands the needs of audiences is crucial, and film schools and training initiatives should be striving to equip those seeking careers in film with the most useful skillset. Europe and the UK have had demonstrable success in training up the next generation, with many publicly funded organisations to help that process, including Creative Skillset and the European Union’s Creative Europe MEDIA sub-programme. The latter funded training initiatives from 16 EU member states last year, allocating around $8.6m (€7.8m) to 58 applicants, including the Documentary Campus Master School, Berlinale Talents and the eQuinoxe screenwriters’ workshops in Germany, and to the ACE producer continuous training programme and EuroDocs in France. The UK received almost $830,000 (€750,000) funding for such projects as Britdoc’s Impact Producers Lab and the NFTS’s Inside Pictures programme. This year, the sub-programme aims to distribute $8.1m (€7.3m) funding across 55 training initiatives with the goal of improving the competitiveness of the audiovisual sector in European and international markets and having a structural effect on European audiovisual companies, including testing new business models. In addition, Creative Europe plans to focus on training projects that improve the circulation of European audiovisual works through audience development and new distribution models as well as those enhancing the film and TV industry’s capacity to integrate digital technologies. Being forward-thinking in training is the best way to cope with industry challenges ahead.